Hartford is a city located on the territory of the State of Connecticut. Ha strongrtford is the capital of the state of Connecticut. The population is about 125 000 people. 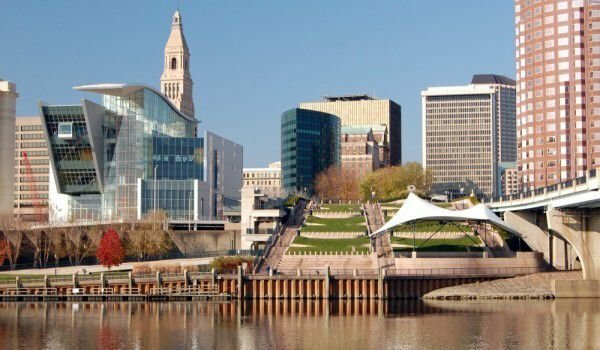 The City of Hartford is almost 400 years old and is one of the oldest cities in the U.S. After the American Civil War, Hartford became the richest city in the U.S. and remained so for several decades. In 2010 Hartford was second nationally in economic activity per capita, after San Francisco. In Hartford is one of the oldest museums in the country - Wadsworth Atheneum. In the city is located the oldest public park - Park Bushnell. The city keeps the home of writer Mark Twain, which was turned into a museum and attracts many tourists to Hartford. In Hartford is the center of Sciences in Connecticut. It extends over a fourteen thousand square meters area. It opened in 2009. The center covers nine floors and is built for the sum of one hundred sixty-five million dollars. There is the Supreme Court of Connecticut and Connecticut State Library. The building in which they are located houses the museum is the history of Connecticut and a number of galleries too. The building itself is situated at the entrance of the park Bushnell. In 1614, Dutch explorer Adriaen Block visited the area in which today is the city of Hartford. In 1623 fur hunters settled in the area of, but quickly abandoned the trading post, which was built. The first English settlers arrived in the area in 1635 and named their settlement Newtown, but in 1637 renamed it to Hartford. The name of the city was chosen to honor the English town of Hertford, which was the hometown of some of the settlers. In December 1814 delegates from different regions of New England gathered in Hartford to discuss the issues of slavery in the United States. In the city lived the famous writer and opponent of slavery, Harriet Beecher Stowe. In 1944 a fire erupts, destroying the circus in Hartford. This is the Ringling Brothers Circus, which is famous for its perilous stunts. In the fifties of the twentieth century suburban Hartford is growing, and the center of the city experienced a period of stagnation and even decline. After the construction of highways the city's economy began to recover. In the eighties of the twentieth century, Hartford experienced a real boom. Then it is proposed to build dozens of new skyscrapers. Because of the economic recession in the early nineties, many of these buildings remain unfinished. In 1987 was elected the first female African American mayor of a large American city - this is Carrie Saxon Perry.